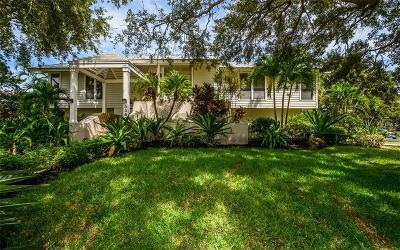 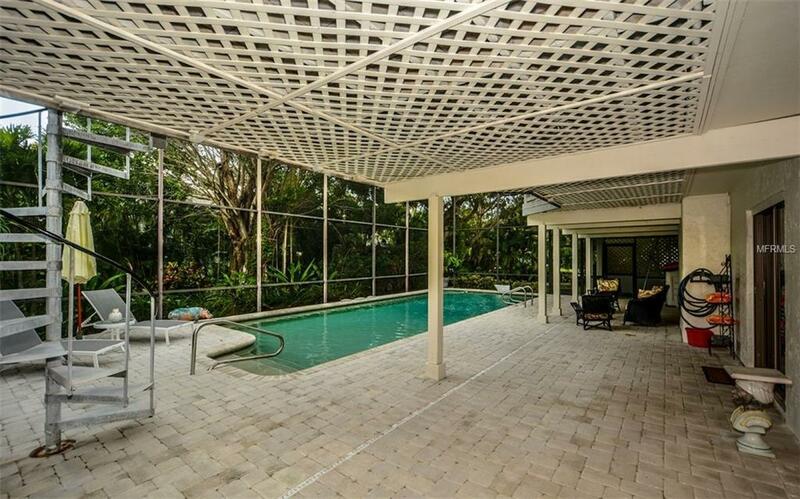 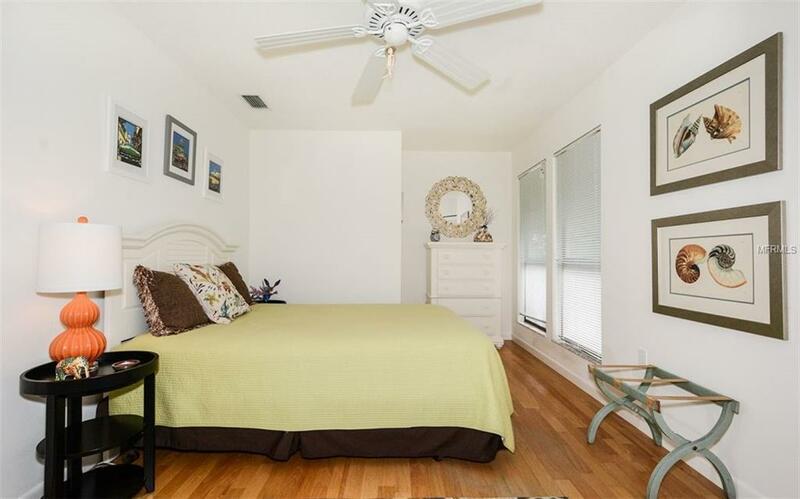 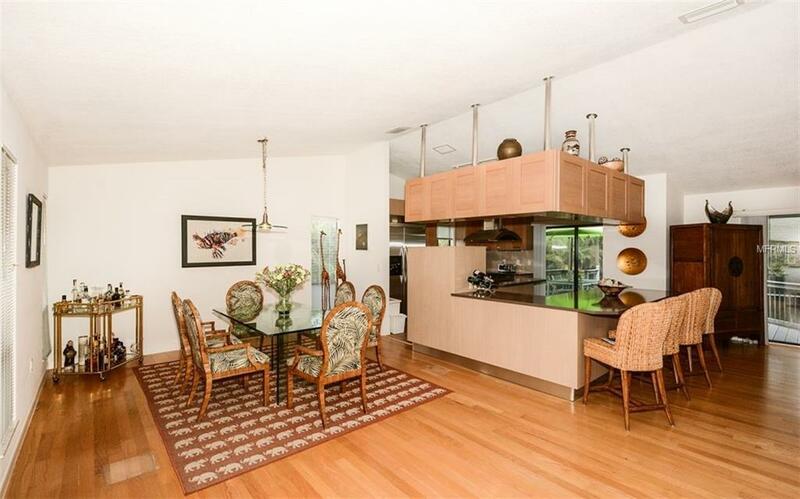 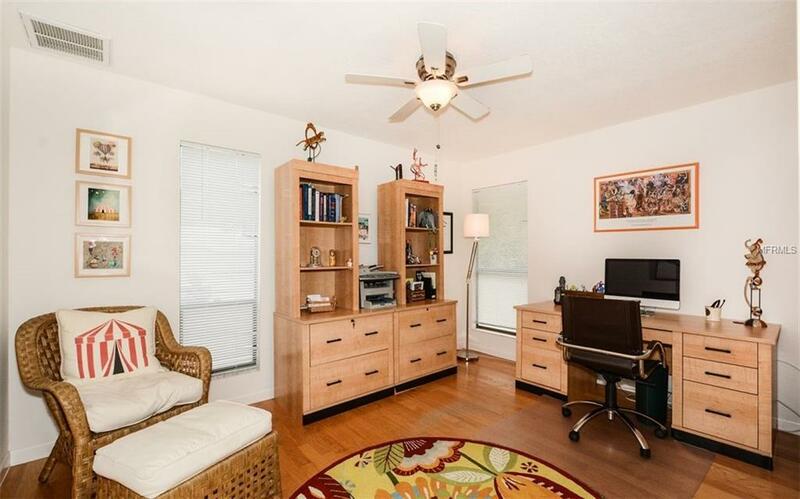 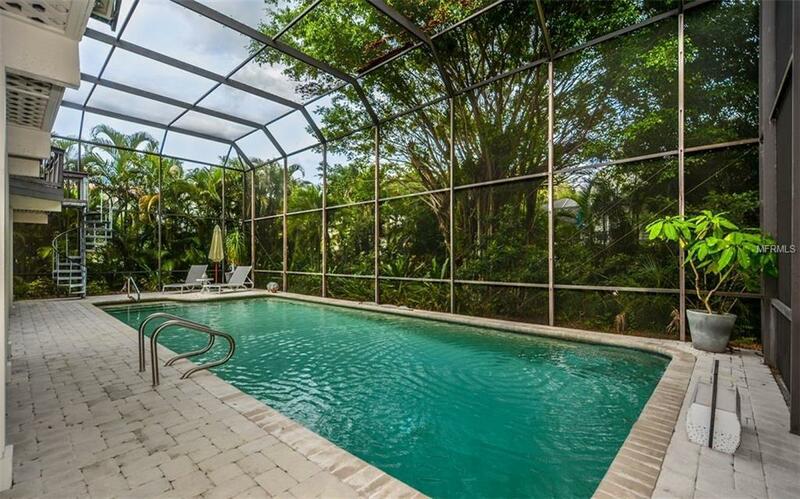 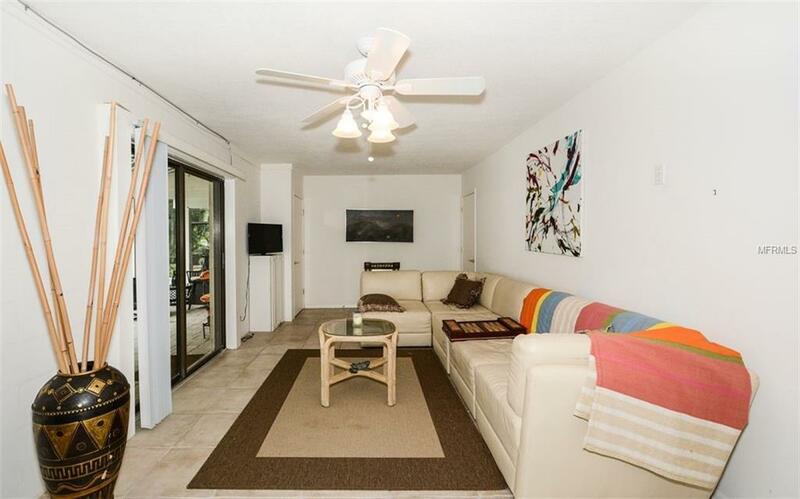 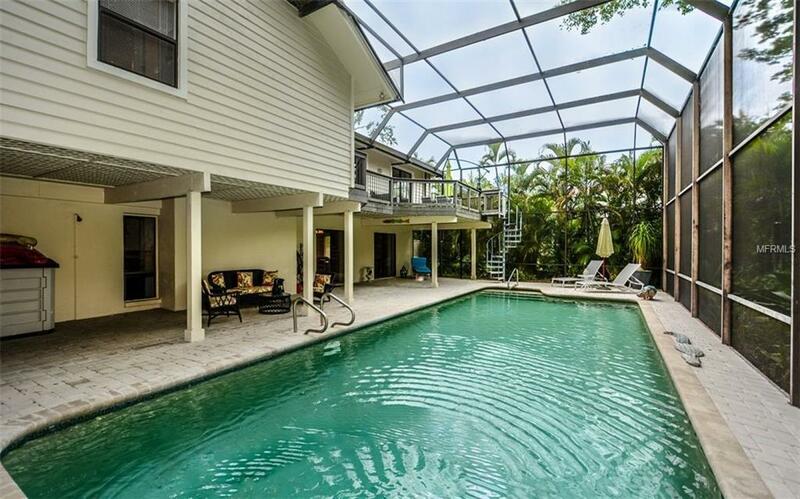 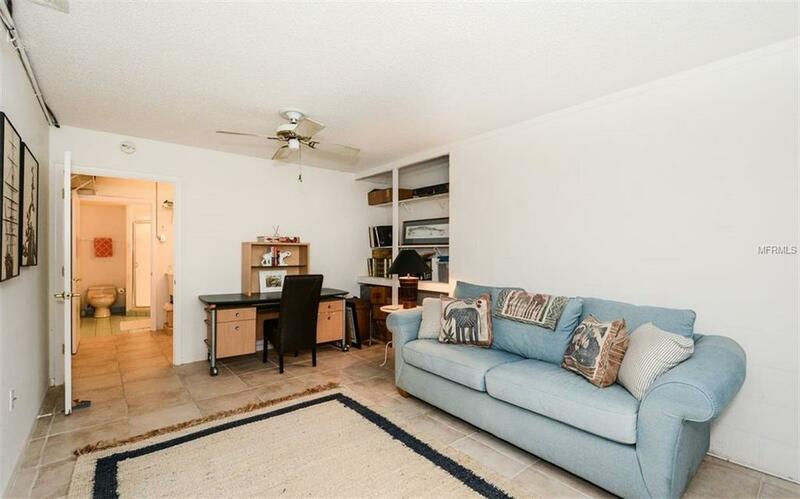 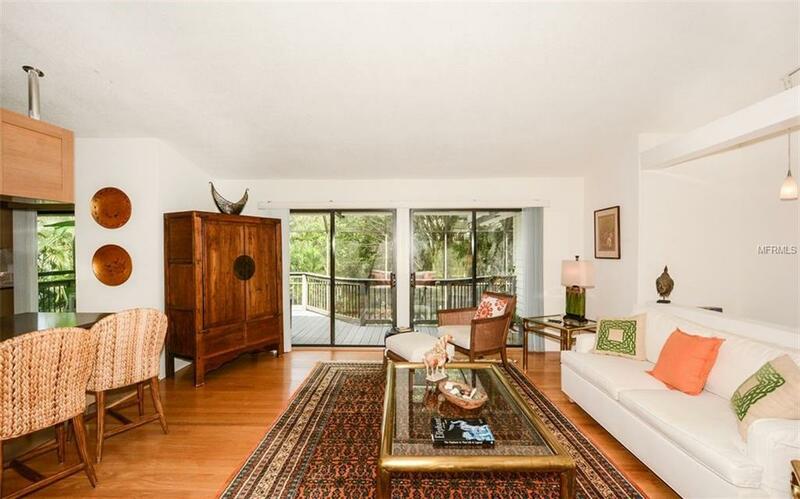 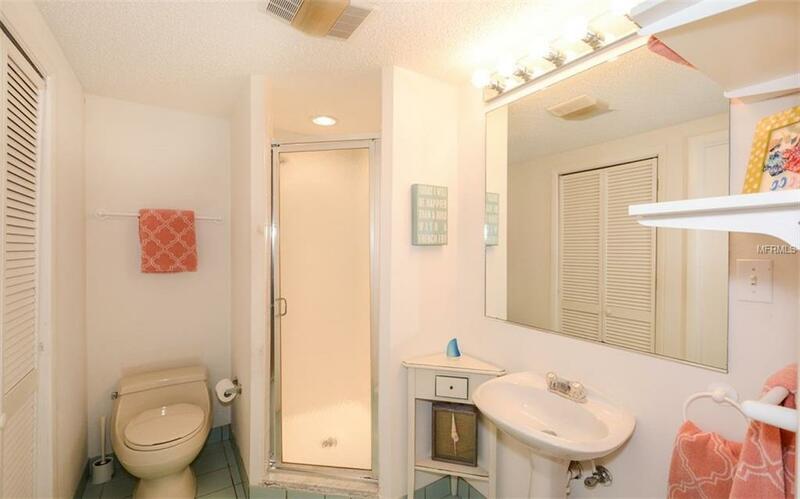 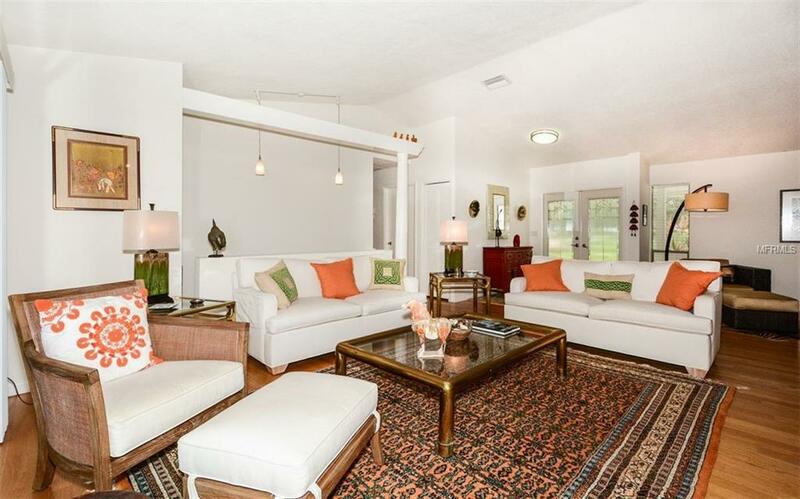 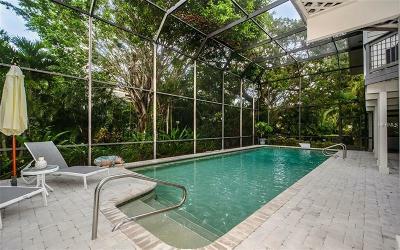 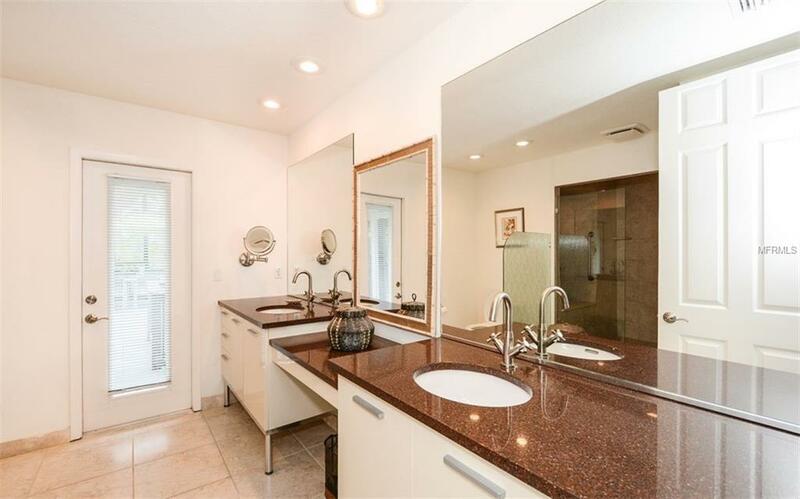 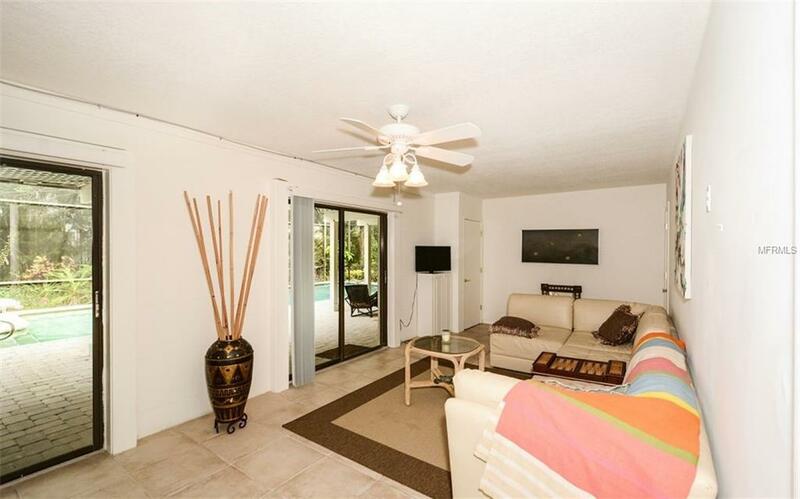 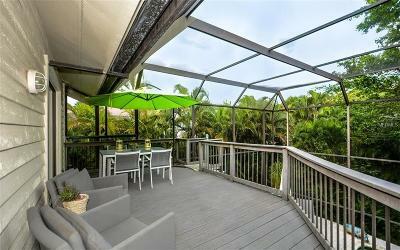 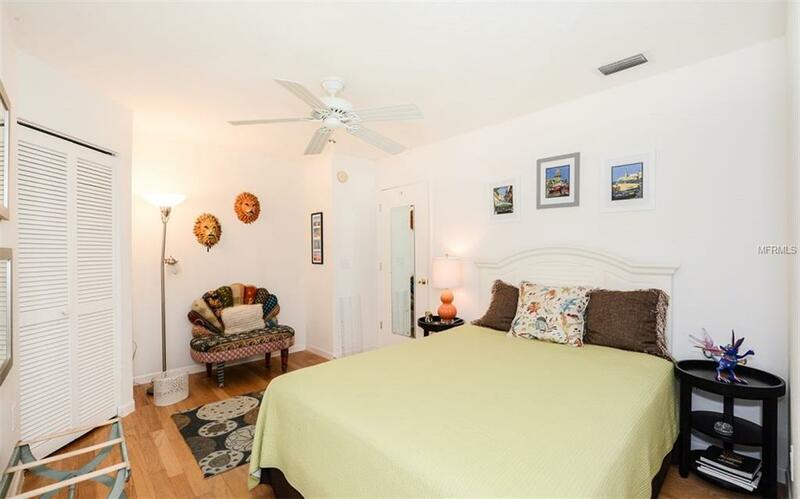 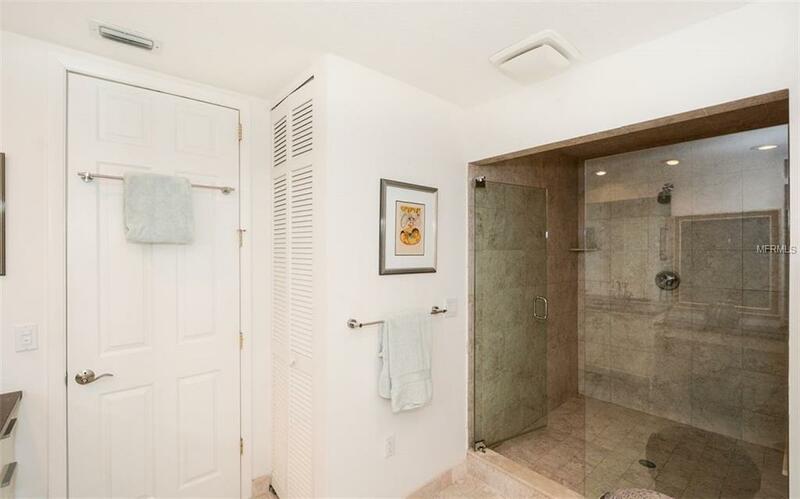 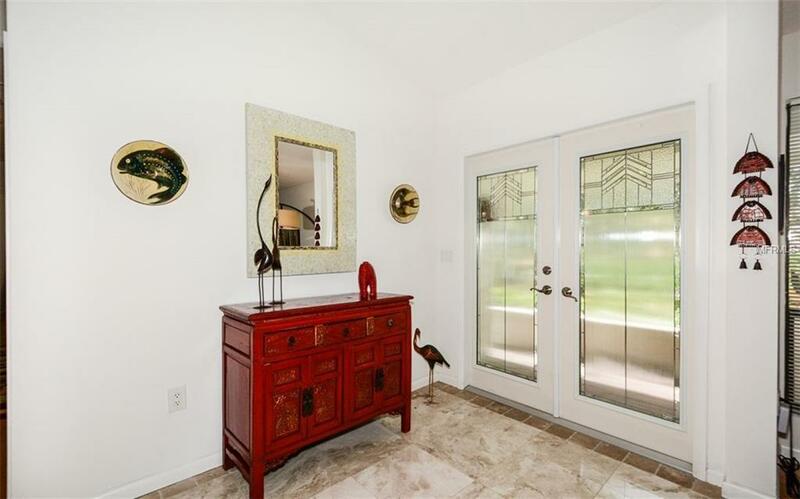 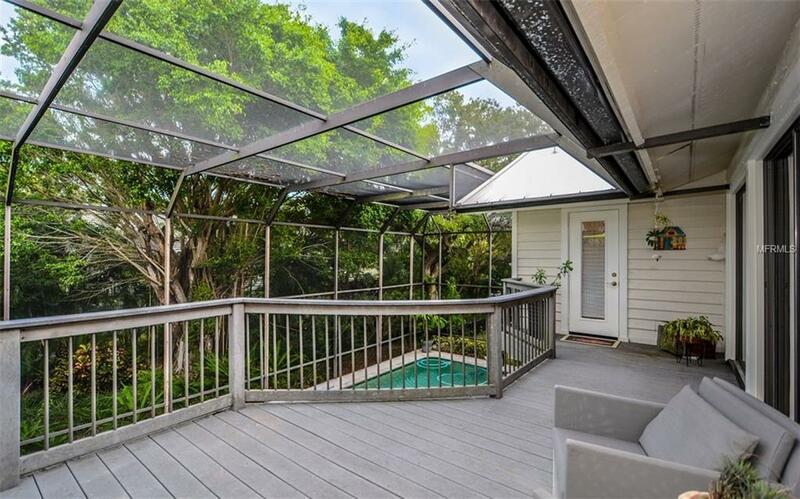 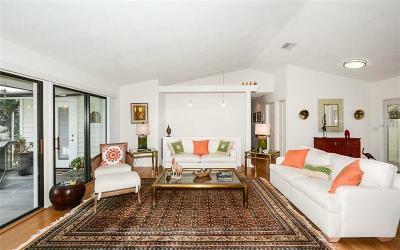 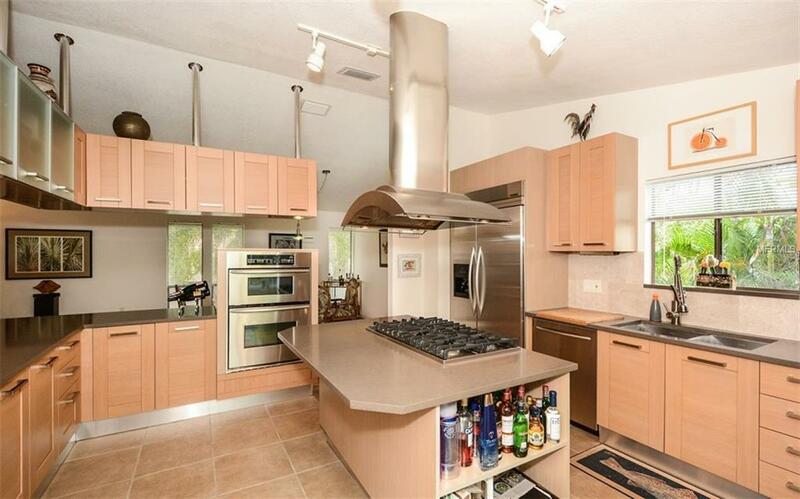 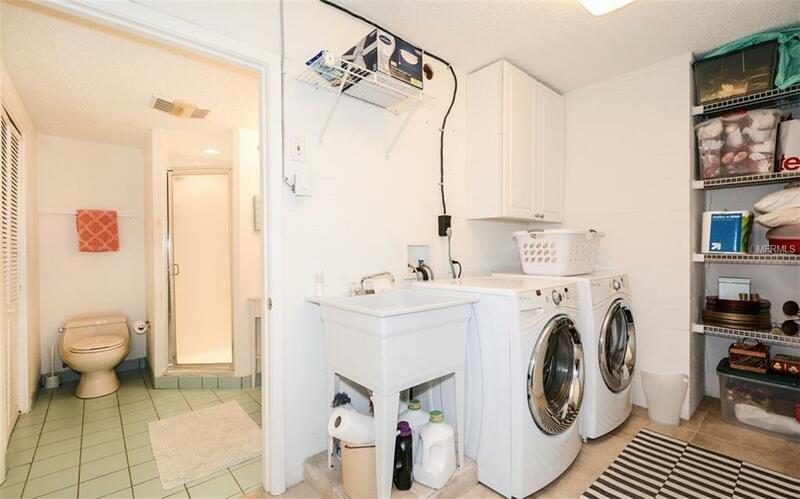 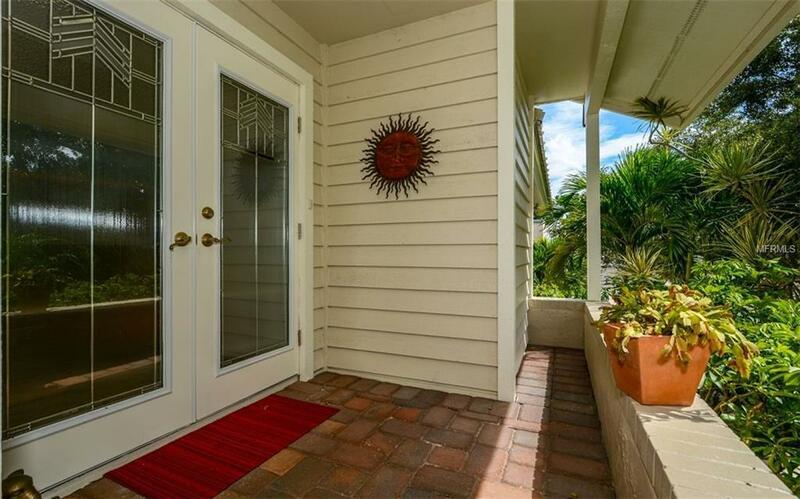 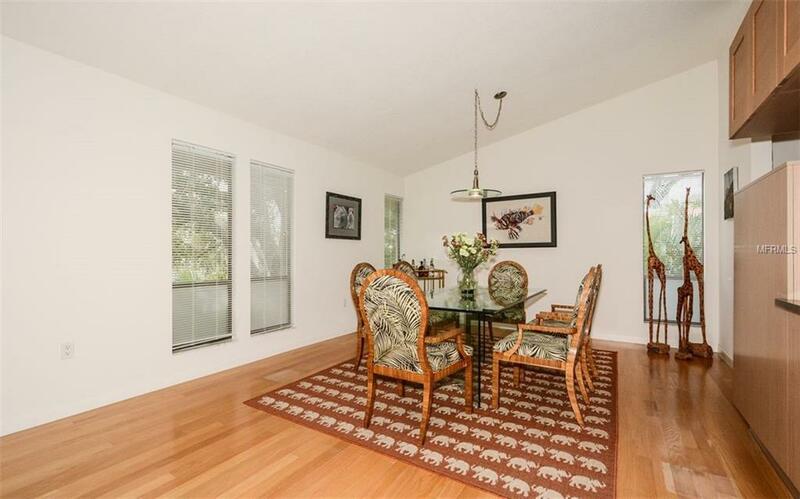 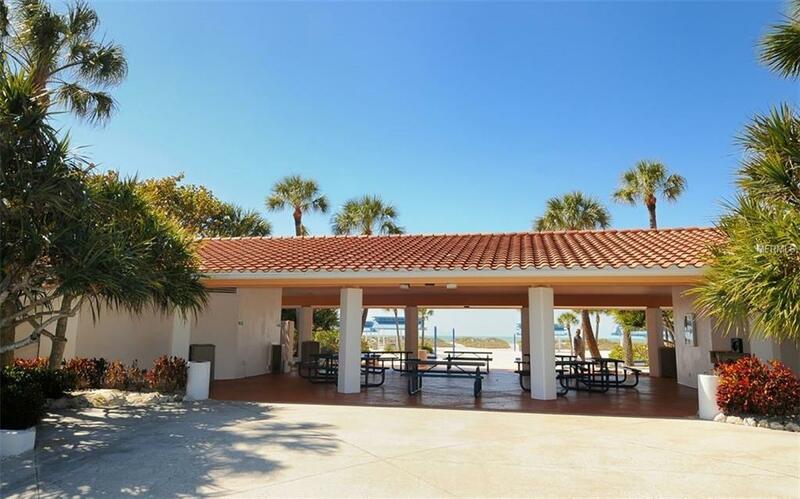 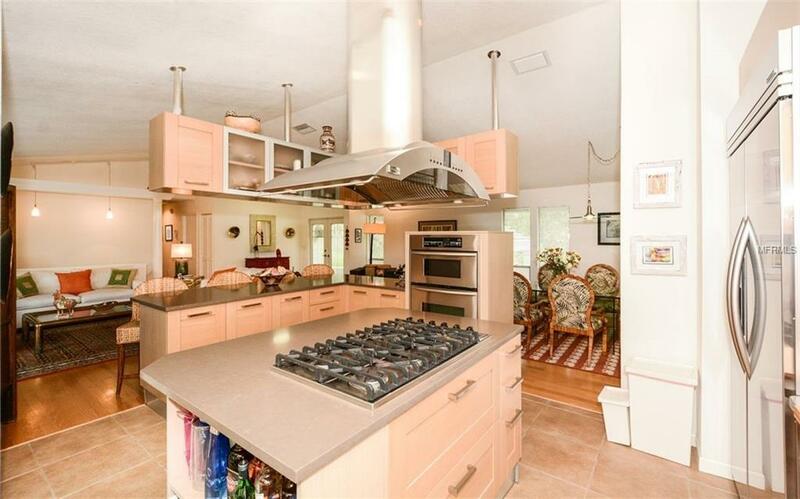 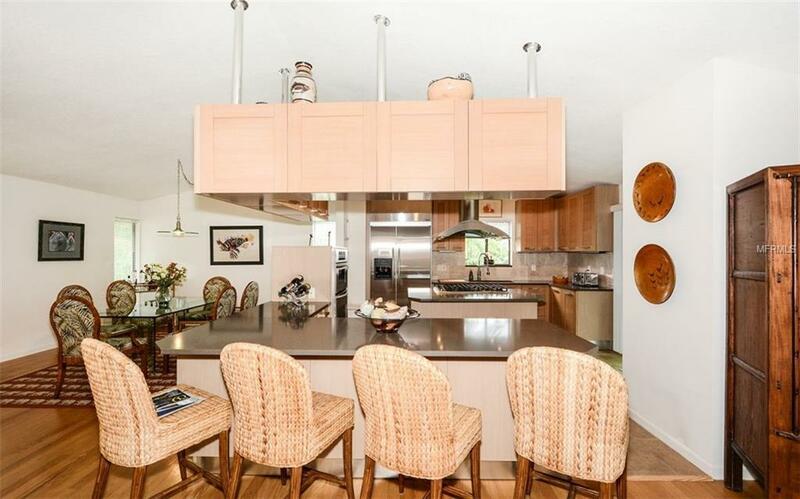 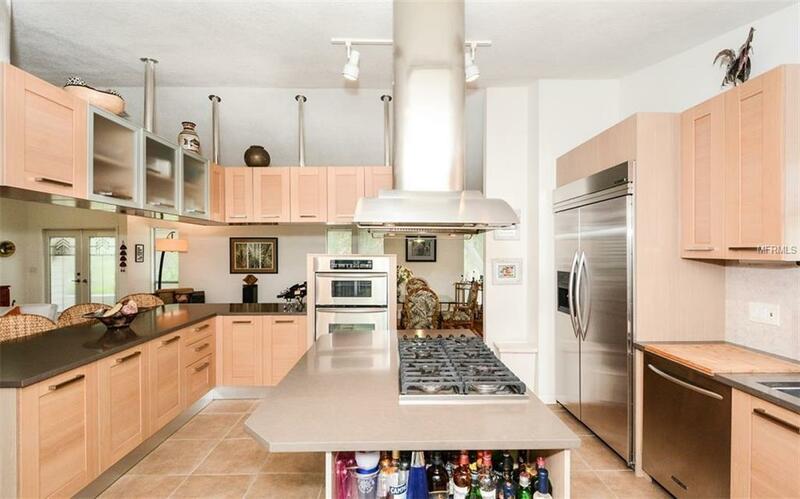 Located behind the gates of the resort community of the Longboat Key Club this is a unique opportunity to purchase a home that has already been updated inside & out and has a bonus living area on the first level that almost doubles the 1900 sq.ft. 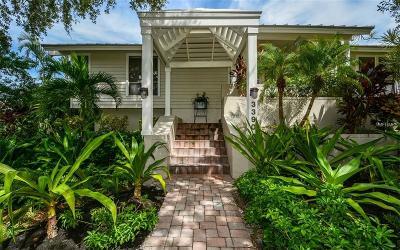 The home is positioned on a lushly landscaped corner lot with a side entry garage in the Bayou neighborhood of custom homes. The main living area is all on one level with an open floor plan that greets you upon entering. Stretching across the back of the great room there are glass sliding doors that lead you to an elevated deck that expands the living area for outdoor entertaining. 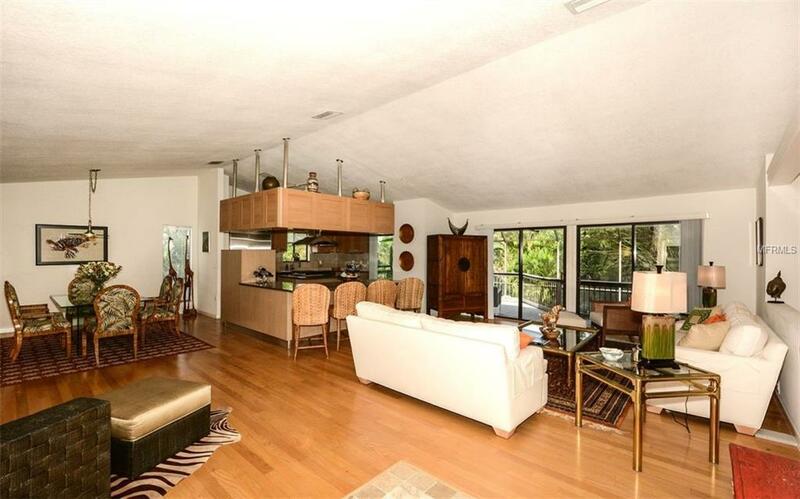 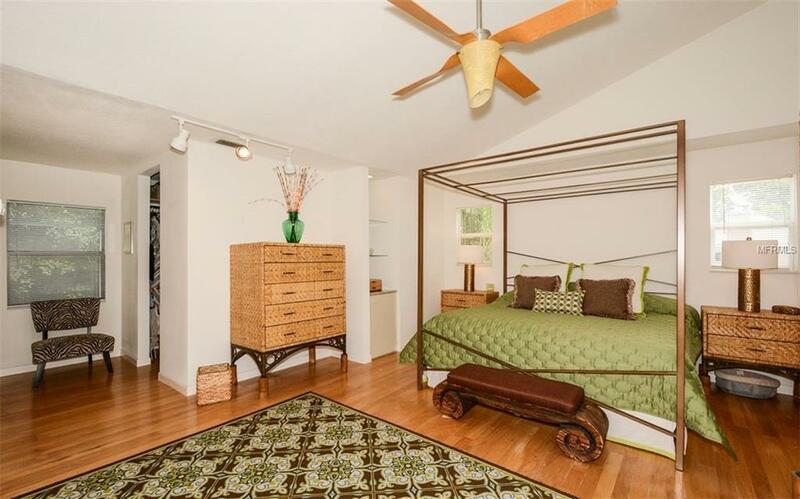 Vaulted ceilings and wood flooring are found throughout giving the feeling of a much larger home. 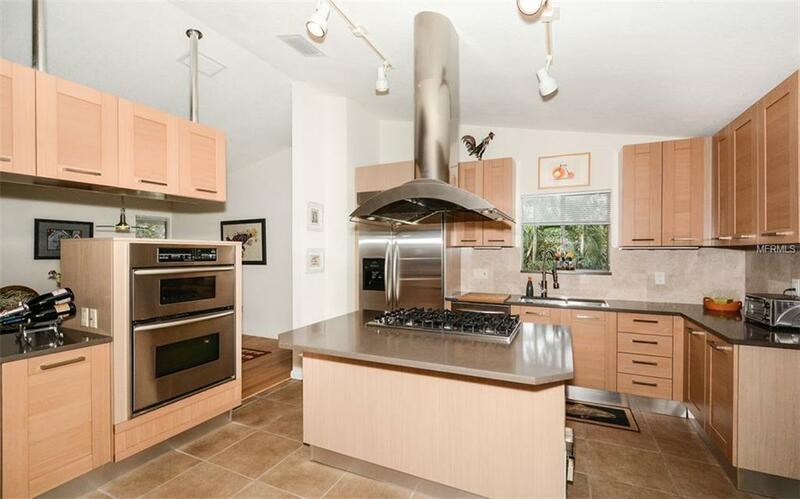 The kitchen features a center island with a Viking 6 burner gas cook top, stainless appliances, custom wood cabinets, pantry, and breakfast bar. On this main level you also find a separate dining room, living room, spacious master suite, and 2 additional bedrooms. 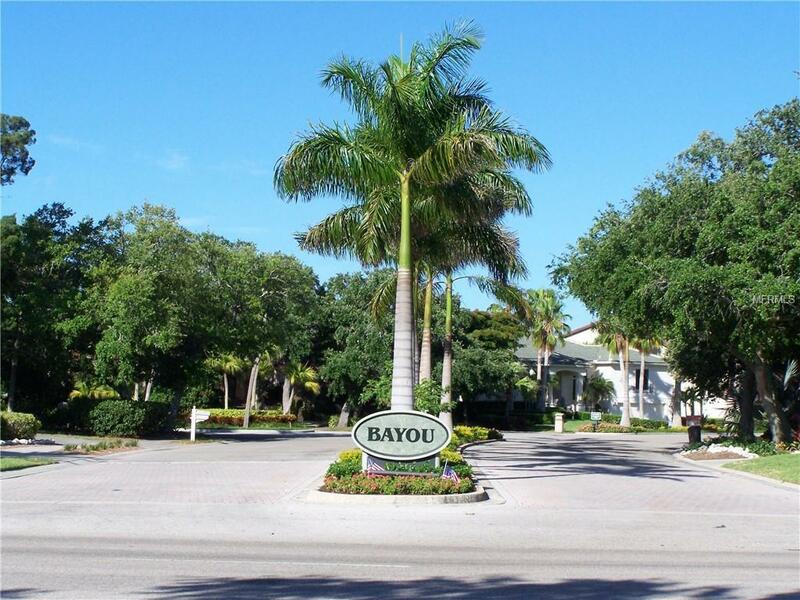 The Bayou is conveniently located close to the golf & tennis pro shops, yacht marina, shopping plaza and just a short drive to world class dining and shopping on St Armands Circle and cultural amenities of downtown Sarasota. 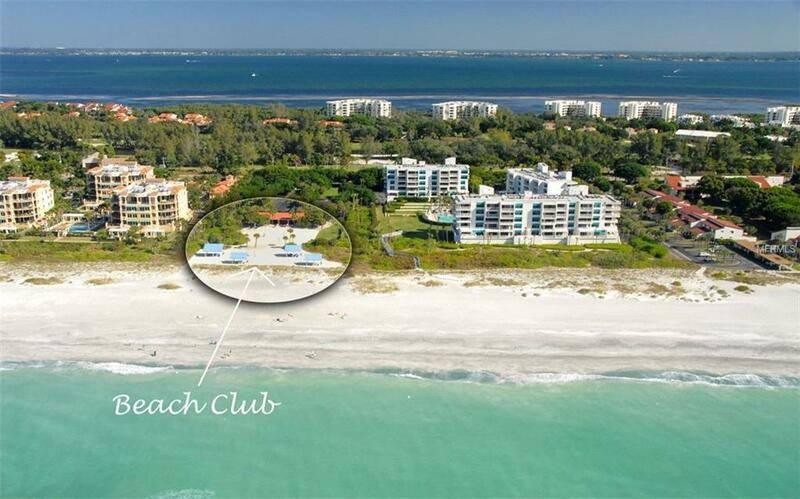 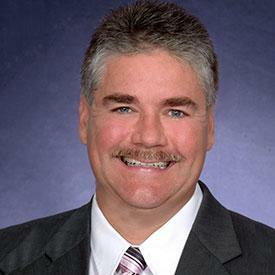 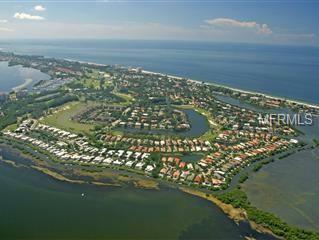 Included in your ownership is a membership to the exclusive Bay Isles Beach Club on The Gulf of Mexico. 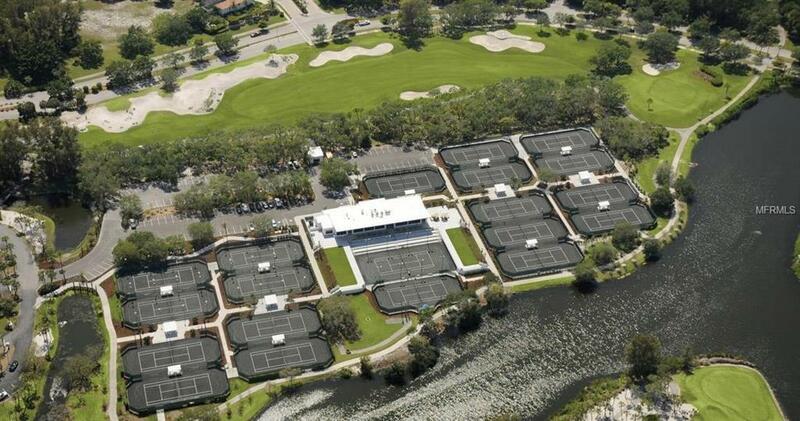 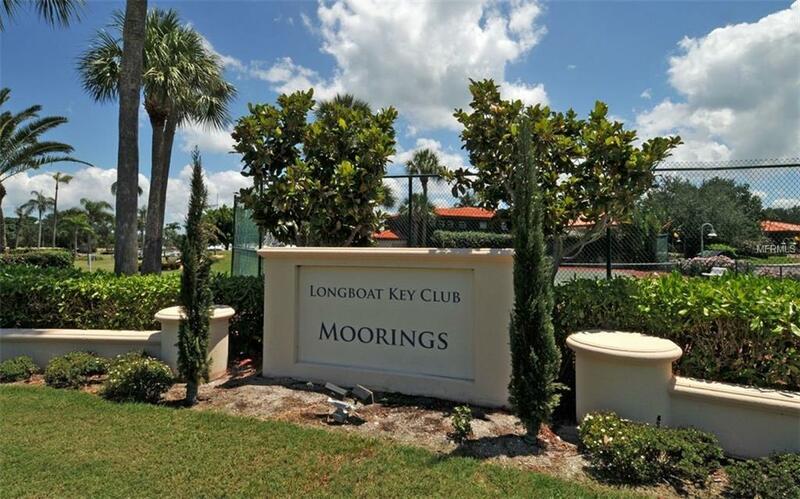 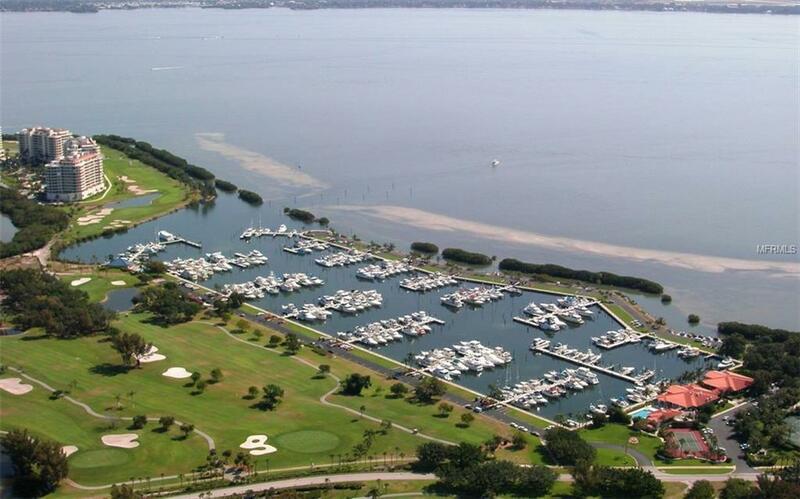 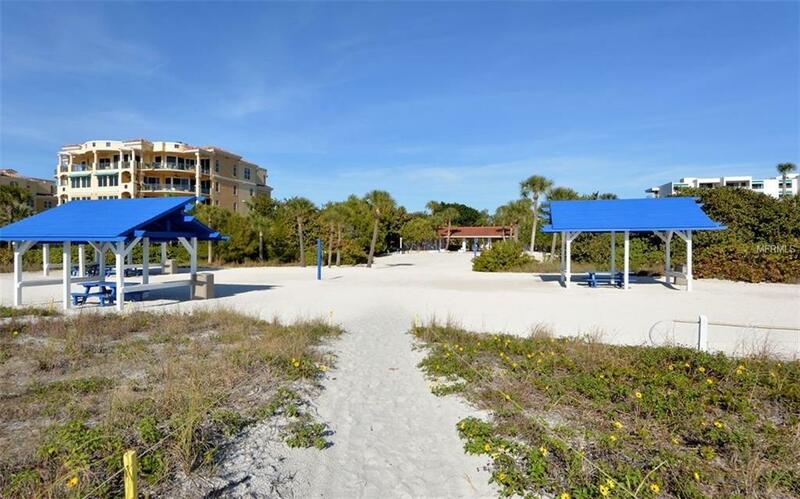 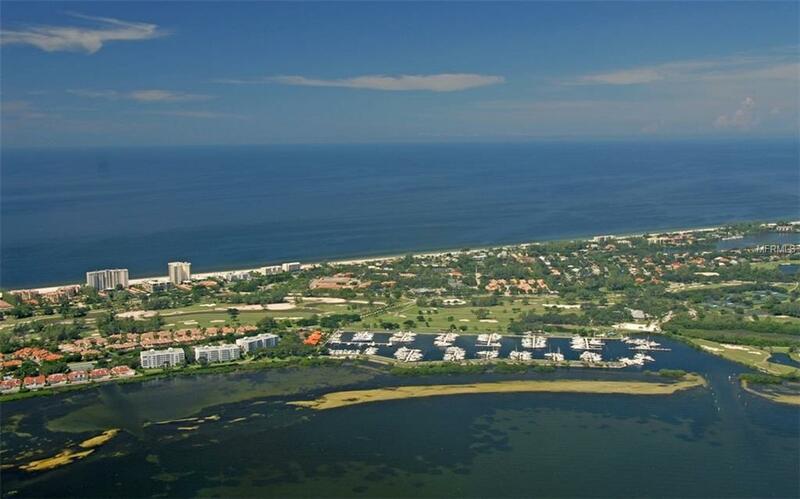 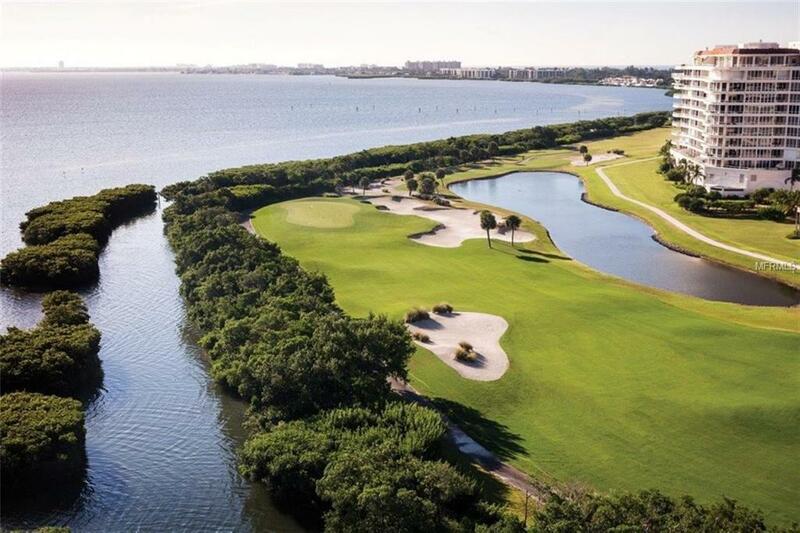 For those who love the country club lifestyle memberships are available to The Longboat Key Club boasting 45 holes of golf, 20 Har Tru tennis courts, fitness center, spa, & 6 restaurants.